Meet Toby, our new dog. No, he doesn’t have a sleep problem. But Toby has a problem that seriously affects the quality of his and our lives: he’s terrified of dogs. We adopted him from a rescue shelter, unaware that the mere sight of a 5-pound Chihuahua would cause Toby to leap and bark as though he feared for his life. Toby’s fear of dogs reminds me of my own fear of sleeplessness, which I struggled with for decades. The problem seemed insurmountable . . . until I went through insomnia treatment and found a way out. If sleep anxiety is your problem too, read on. If you’ve struggled with chronic insomnia for years, even if you have some reliable management strategies, you may occasionally find yourself talking about insomnia with people whose looks and responses suggest it can’t be such a big deal. “Aren’t there pills for that?” “My doctor says that’s self-inflicted. 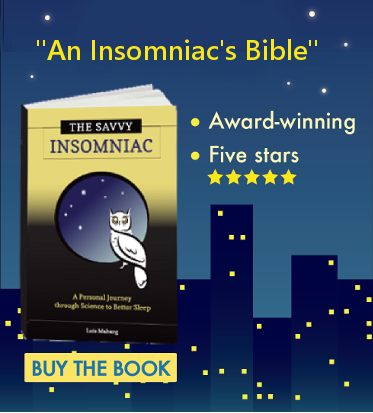 You just THINK you can’t sleep.” Here’s some new research that shows why persistent insomnia is a serious problem deserving of concern and treatment. Sleep restriction therapy helped me a lot. In fact, even without the other insomnia treatments usually offered with it, sleep restriction alone (enhanced by daily exercise) would probably have turned my chronic insomnia around. Sleep researchers at Oxford recently proposed a new model of how the therapy works. If you haven’t yet tried sleep restriction, here’s why you’ll want to check it out. Vitamin D for Better Sleep? Seasonal insomnia typically strikes at about this time of year. As the days get shorter, we’re exposed to shorter periods of sunlight, which can alter circadian rhythms and interfere with sleep. A related problem has to do with our need for vitamin D, which may not be met in low sunlight conditions. Recent publications explore the effects of low levels of vitamin D on sleep, making supplements a good option in the cold weather. The availability of CBT-I providers varies depending on where you live. Here’s where you’re likely to find help and where you’re not, and alternative ways to get the insomnia treatment you’re looking for. Sleep-onset insomnia—trouble falling asleep at the beginning of the night—has been one of the biggest challenges in my life. By now, having gone through insomnia therapy and spent decades observing how changes in behavior and the environment affect my sleep, I know what I need to do—and what not to do—to get the best night’s sleep I can. If you’ve got sleep-onset insomnia, here are 8 do’s and don’ts that may help to regularize your sleep. Anxiety About Sleep: Could Herbal Medicines Help? Without a doubt, anxiety about sleep is one of the hardest aspects of insomnia to beat. Cognitive behavioral therapy for insomnia can help to reduce sleep-related anxiety, as can other adjunctive therapies. But here’s an alternative treatment that might lead to calmer nights: plant-based medicines found to be effective for anxiety. 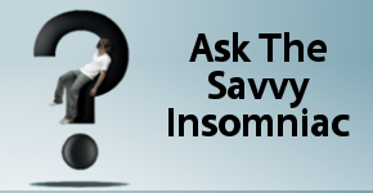 Do you experience a sudden onset of insomnia at about this time every year? Not much is written on seasonal insomnia that occurs in warm weather. Yet I’m convinced it’s a real phenomenon since my posts on summer insomnia get lots of traffic starting in May. Here’s updated information—and speculation—on what could be causing the problem and how to get a better night’s sleep.